1760 (August) 100th Highlanders, four independent companies each of 100 men raised in Argyllshire, Scotland. Company COs were Lieutenants Alexander Ross, Neil Campbell, Alexander Macdonald and John MacHarg. Moved to Newcastle, England in 1761 and formed as a corps commanded by Major Colin Campbell. Moved to Portsmouth and then to Jersey in July. In September 1761 moved to Guadeloupe and then Martinique as part of Brigadier General Haviland's brigade to combat the French at Fort Royal where the 100th Highlanders were instrumental in defeating a French counter offensive. A detachment of the Regiment fought against Spain in 1762 as part of Lord Albemarle's expedition to Havannah and took part in the storming of the Fort Moro when the detachment lost many men. In 1763 the 100th returned to Stirling, Scotland and was disbanded on 23rd September 1763. 1780 (August) 100th Foot was placed on the establishment on 5th August 1780. C.O. was Lt. Col. Francis Mackenzie Humberstone, adjutant was James Fraser and Quartermaster was Richard Brown. Other officers were Majors Henry Rooke and John Campbell, Strength was to be ten companies though this was subsequently increased to fifteen. The Regiment moved to India and did battle with French on route and suffered 28 casualties. Whilst on route in 1781 a 'home' company was established in Inverness for recruiting. This had 100 men and included many 'recruiting sergeants'! The 100th arrived in Bombay, India in early 1782. In India Hyder Ali was the sultan of Mysore in south-western India. Hyder Ali had become the ruler of Mysore in 1761, and rivalled British power in the area subsequently invading the Carnatic in 1780 and defeating a British force. The arrival of the 100th foot as part of a force led by Sir Eyre Coote fought against both the troops of Hyder Ali and their French allies achieving victory against his successor in 1784 during the Anglo-French wars. (Read more about Hyder Ali) Immediately after the victory, the 100th returned to Scotland and were disbanded in 1785. During their service in India the Regiment had lost 39 officers and 1,200 men. 1794 (June) The 100th foot were again raised on the 24 June 1794 at Aberdeen, Scotland. Embarked for Gibraltar arriving 27 September. Moved to Corsica 1795, back to Gibraltar 1796. May 1798 returned to Scotland. 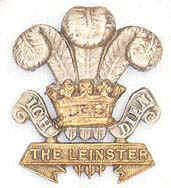 In anticipation of a French invasion of Ireland the Regiment then immediately moved to Dublin. In October 1798 the 100th was renumbered 92nd Highlanders and thence in 1881 became the 2nd Battalion Gordon Highlanders.